Twenty Years: How Far Have We Come? 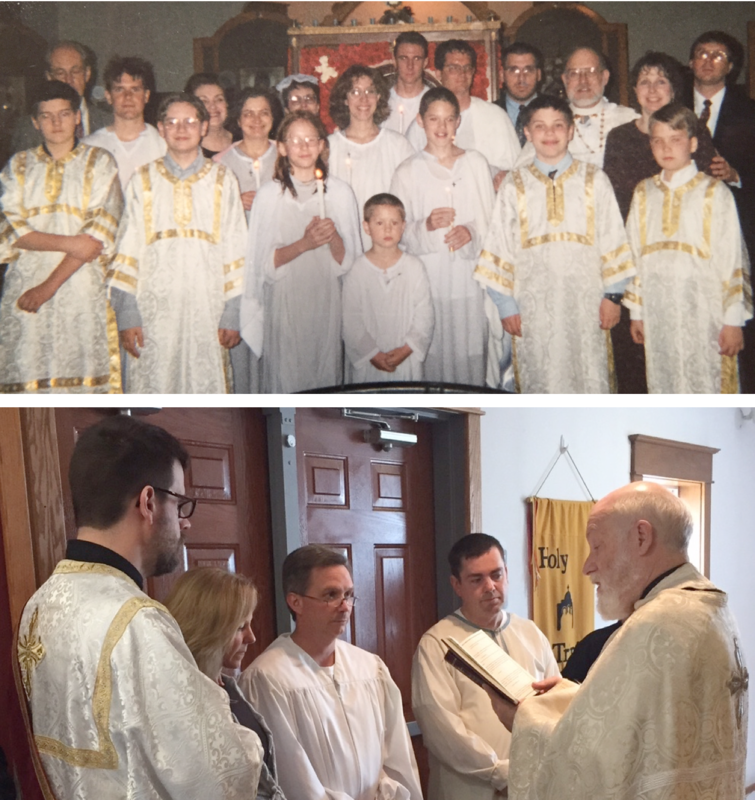 In May 1995, I first visited State College to do a workshop on church growth for the Holy Trinity Mission Station. It was an interesting case study: A group of 16 individuals had signed a note at the bank to purchase a building. They were applying for a church planting grant that was being offered by the Orthodox Church in America, which would enable them to have the services of a full-time priest for the first time. To qualify, the nascent community would have to be willing to become a self-supporting parish by the end of the grant’s three-year term. I was not an entirely disinterested party. Within nine months, my family and I left the sub-tropics of south Texas and headed north to a snowy central Pennsyl-vania. We didn’t look back. 130 “official” members and 65 children. An initial annual budget of $22,000 has multiplied more than ten-fold (1,000%) to $274,500, with 19% of the budget given away each year to charity and missions. The median stewardship donation from our 84 households is now $2,275 per year per family. The original building, purchased for $115,000 in 1993, was extensively remodeled in 2006. Our average Sunday attendance (ASA) is 142, with services in two locations—State College and Beaver Springs. An average of 65 attend Vespers! Eleven vocations to the clergy or monastic life have been raised. With our recently acquired Trinity House, plus the Chapel of the Holy Spirit’s property in Snyder County, and our cash reserves, our parish’s total assets are now more than $1 million. And God has done it all! Now, let’s ask ourselves a question: What if God works in us over the next 20 years as He has during the past 20 years? What will that mean? What will that require of us? In the next 5, the next 10, the next 15 years? Can’t see that far? Can’t count that high? Remember, as always, when God is in charge, the sky’s the limit. So, all I can say is “Let’s go for it.” If we give Him all the credit, all the glory, we know we have no laurels to rest on and no time to waste.